The first house that I remember living in was a cozy ranch with a big back yard on a block lined with other modest one-story homes. Except for the two-story colonial where Annalise lived. Annalise was older (well, big enough to go to school all day) and she had a fairy tale-like older girl’s room with an enviable doll collection and a giant doll house. I still can’t distinguish if the following memory was fantasy or a true event, but I recall sneaking into that house one afternoon. Her mother was preoccupied on the phone, and I scampered up the stairs (such a luxury!) just to steal a glimpse of all the wonderful grown-up-girl things lining the shelves in Annalise’s room. Her mother called up and I hid under the bed (chest heaving) until she found little trespassing me. I’ve always been fascinated with the interior life of a home. I still am. I love taking an evening stroll to soak up the vignettes playing out in brightly-lit living rooms or bedrooms. I can’t pass up a good period room in a museum (don’t try to rush me through the Colleen Moore Fairy Castle), and I’m a sucker for a house tour. Frank Llyod Wright’s Fallingwater outside of Pittsburgh – the architecture, the casual ‘gift from a friend’ original artwork and custom furniture – make it well-worth the trip. There’s hardly enough time on the tour to cover all of the details, and it’s the sort of place where I would want to spend even just one night as a guest. 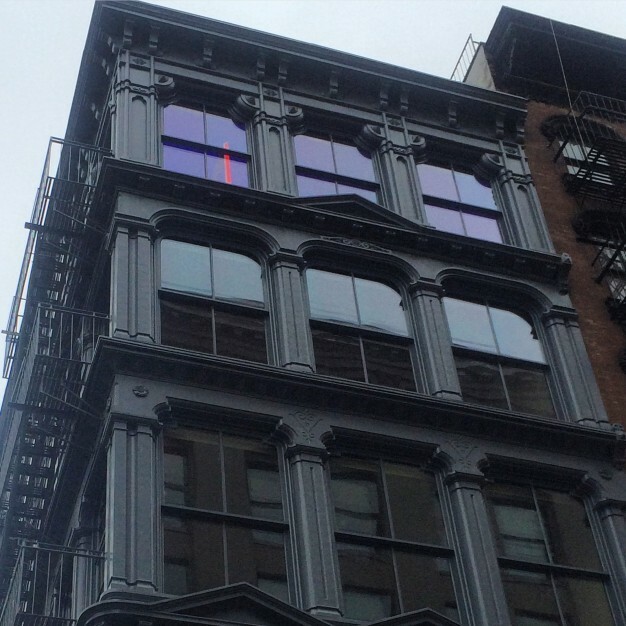 Super-modernist fans should flee from New York for the day via the Meto-North to wander the contemporary art and architecture campus (kingdom?) 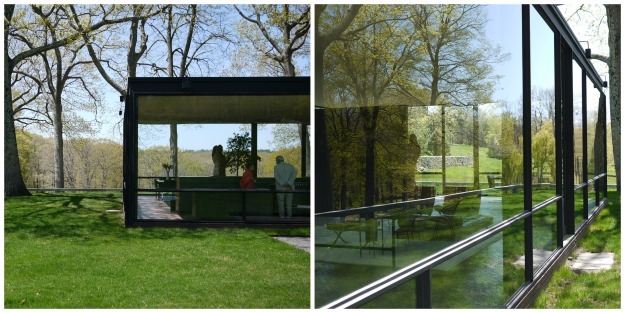 that is the Philip Johnson Glass House in New Canaan, Connecticut. Private writing hut, personal art gallery and one crystal-clear domicile. This New York Times story offers insight about the influential couple who lived there. This entry was posted in wander and tagged architecture, art, fallingwater, frank lloyd wright, glass houses, good house guest, house tours, Judd Foundation 101 Spring Street, New York, New York Times, Philip Johnson Glass House by lhouse. Bookmark the permalink.